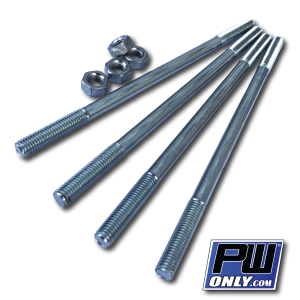 Transform your PW50 with this bolt on PW50 TOP END MACHINE Attack Handlebar Kit. 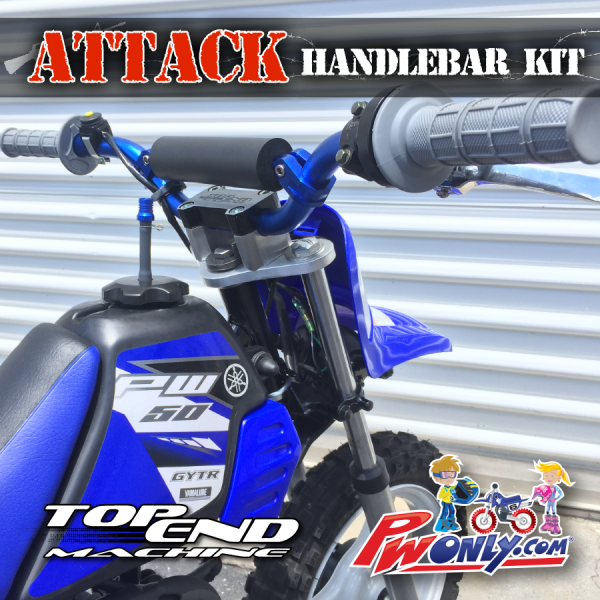 Ride with better handling and control with proper motocross form. Straighter bend and slightly taller and wider than stock OEM PW50 handlebar. 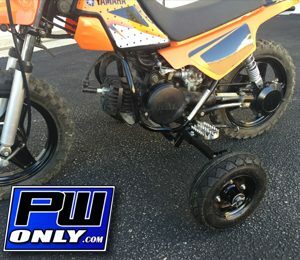 NIGHT AND DAY difference guaranteed to be the coolest thing you can buy for all year PW50s. 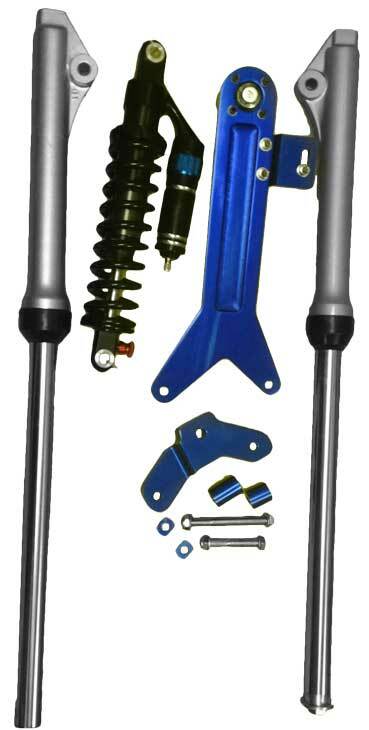 Parts included in Kit: Alloy bars, front brake lever, rear brake pedal conversion, throttle assembly, single throttle cable, kill button, cross bar pad, soft grips, and CNC billet machined top triple clamp. 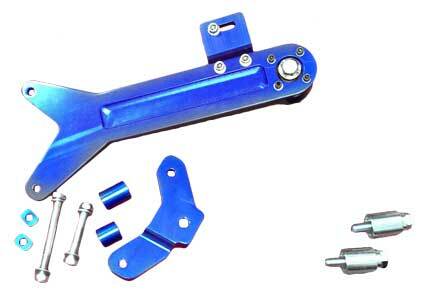 *An Oil Block off plug is needed to complete kit. PW50 model 2002-2017 the kit is good to go. 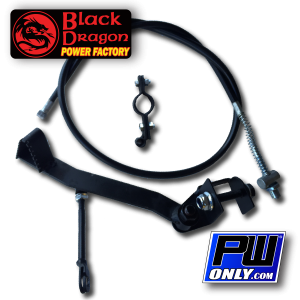 On 1981-2001 model PW50 you must install Black Dragon ignition kit included for kit to work. 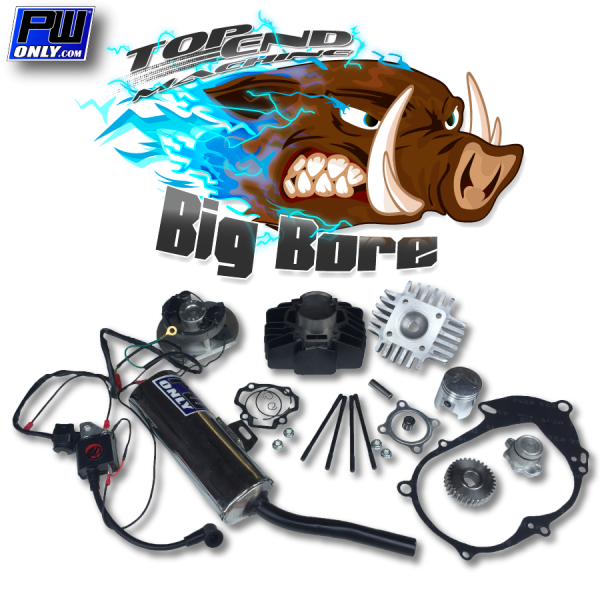 Dollar for dollar the biggest power gain! 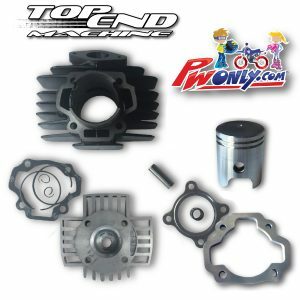 This bolt on carb kit increases power all across power curve and its quick and easy to assemble. 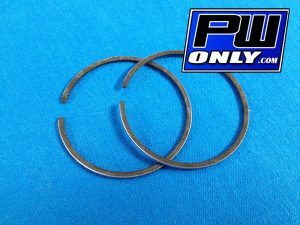 Stock Yamaha PW50 engine or full modified PW50 with big bore 60cc cylinder, this carb kit would be a huge advantage over stock OEM carburetor. 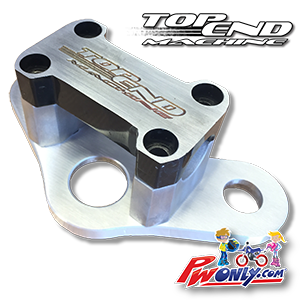 Top End Machine alloy intake manifold and Black Dragon race carburetor are designed and scaled to fit PW50 frame and engine without hanging out or interfering with rider’s leg. 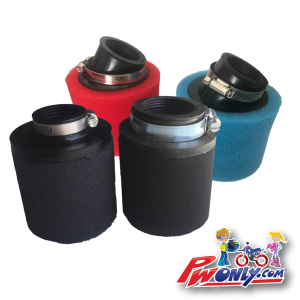 Replacement POD Air Filter for a PW50. 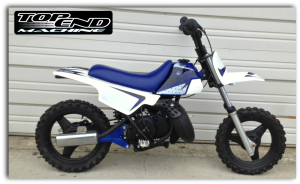 Broke, Lost, had it Stolen?! 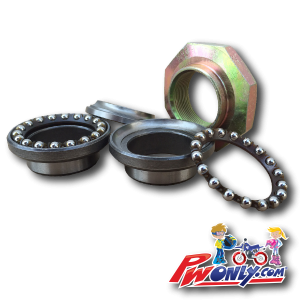 No problem, we have your new one right here. 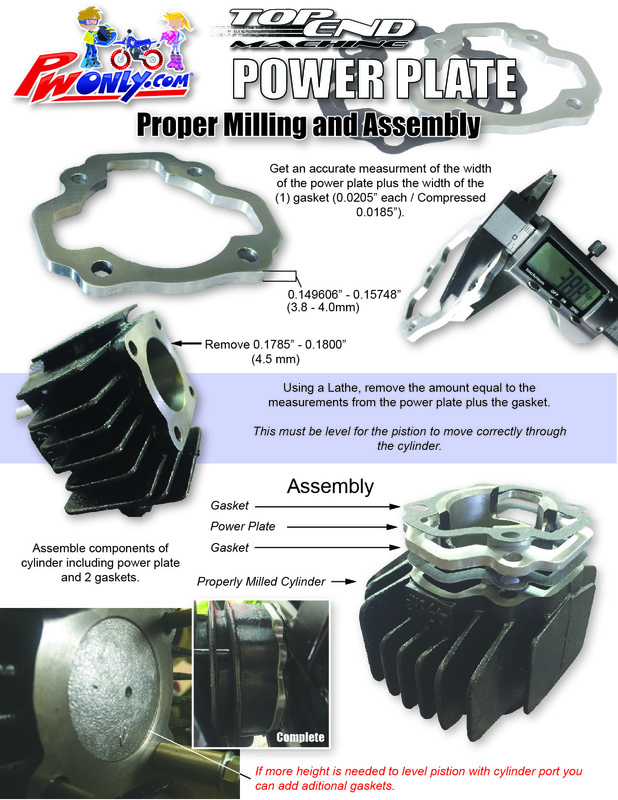 Please note: cylinder milling is required to fit this power plate to engine. 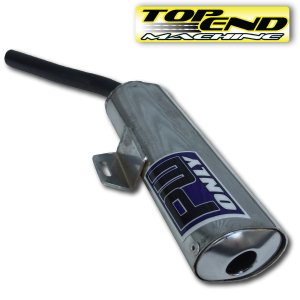 under stock 50cc cylinder for a mid range and top end power increase. 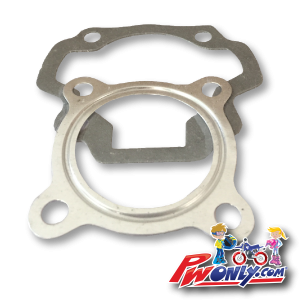 Your PW50 will rev out much quicker and run more efficient because this plate will allow the exhaust port to properly open at the correct time as the piston goes up and down. 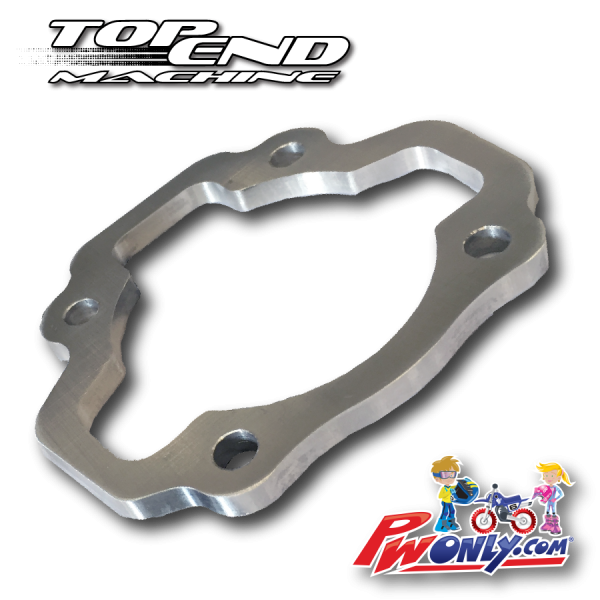 This TOP END MACHINE brand PW50 power plate is made in USA from quality CNC 6061-T6 aluminum. 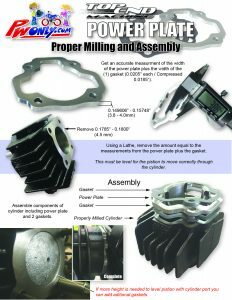 Please note: cylinder milling is needed when fitting this power plate to bike. 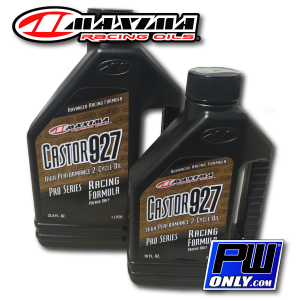 Free instructions and & gaskets are included. Many people do not want to run a 60cc top end kit on their PW50s because it's totally illegal for many racing tracks and clubs in 50cc classes. 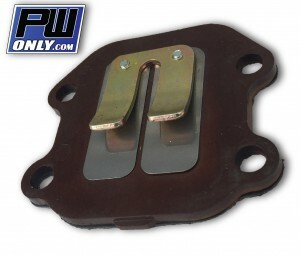 This new PW50 Power Plate isn't legal to use everywhere some race tracks do allow it because the PW50 retains its stock 49cc displacement. 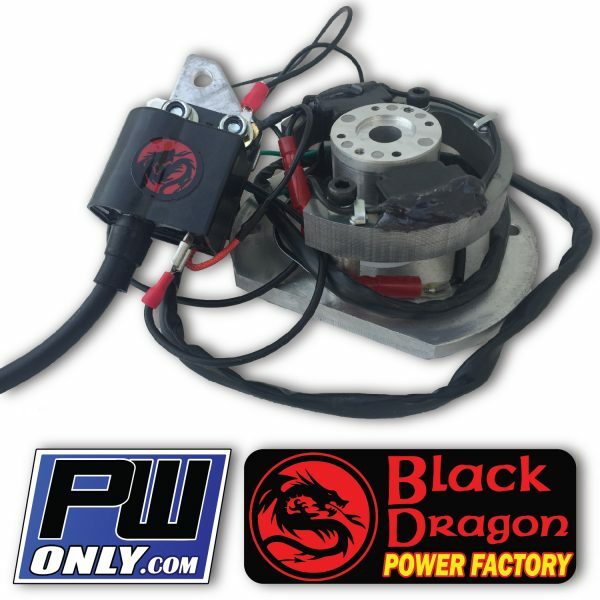 The Black Dragon PW50 High Performance Ignition Kit is designed for maximum power output. 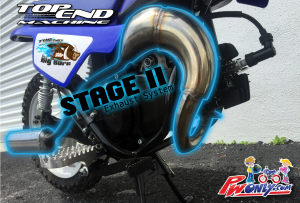 Your PW50 will feel more responsive right off an idle all the way through the power band. 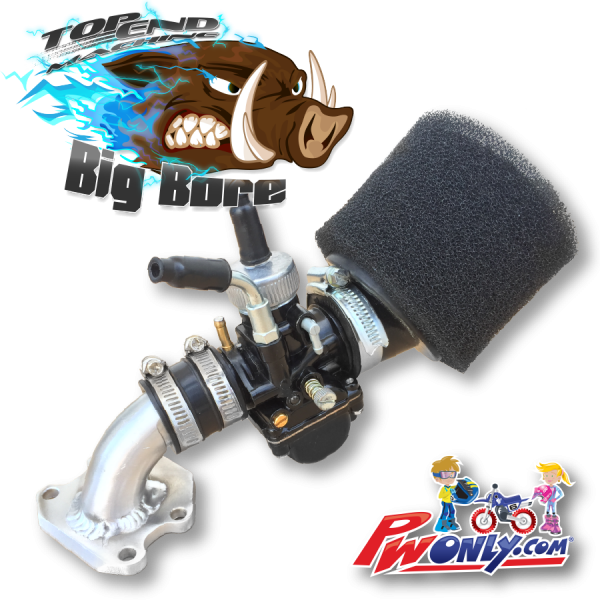 Featuring a special lightweight flywheel to reduce rotating mass on the engine crankshaft. This allows the engine to reach higher RPM more quickly. 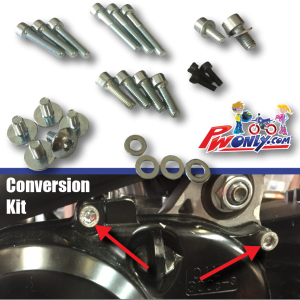 The Black Dragon PW50 High Performance Ignition Kit also has a higher spark output than the stock PW50 ignition for increased power. 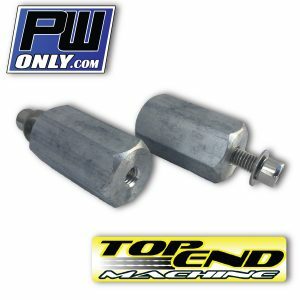 Retails for $159.99, Now on sale for $136.99!